John Coltrane's complete recordings from 1963 in one 3-CD set due Nov 16 on impulse! This set includes Impulse! 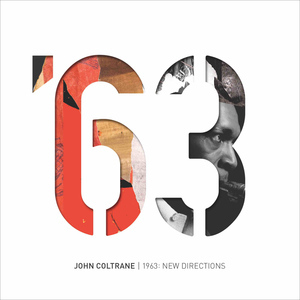 recordings from 1963 including the recently released Both Directions At Once: The Lost Album, which was recorded by Coltrane's Classic Quartet on March 6, 1963. The following day, they recorded standards with singer Johnny Hartmann, which was released that year and was a great commercial success for Coltrane. Other recordings come from Live at Newport '63 and works from Dear Old Stockholm that were recorded in 1963. Also included are recordings from Live at Birdland.